Students have been referred to law enforcement in dramatically higher numbers after the school shootings in Parkland and Santa Fe. A study suggests the arrests show a return to zero-tolerance policies that can harm students. Police officers have long had a presence in public schools. But since the deadly school shootings in Santa Fe and Parkland, Florida, more Texas school children have found themselves facing police for actions the authors of a new study view as kids just being kids. The study, published Tuesday by advocacy group Texas Appleseed, reported a dramatic spike in the number of students referred to law enforcement for threatening to use violence against students and staff. Its authors argue that some of the threats are just childish behavior, such as pretending to shoot with finger guns, or are the result of a mental disability. The study's authors say arrests and other police interventions can be damaging to young children's mental health and show a return to zero-tolerance policies they say gloss over the nuances of school violence. After the shooting in Parkland, the number of students referred to Texas law enforcement for "terroristic threats" — such as threatening a school with violence or acting violently against staff — increased by 156 percent, and the number of students referred for "exhibition of a firearm" — anything from possessing a gun to threatening to shoot someone — increased by 600 percent. The greatest increase occurred among students aged 10 to 13, who saw a 762 percent increase in referrals for exhibition of a firearm. 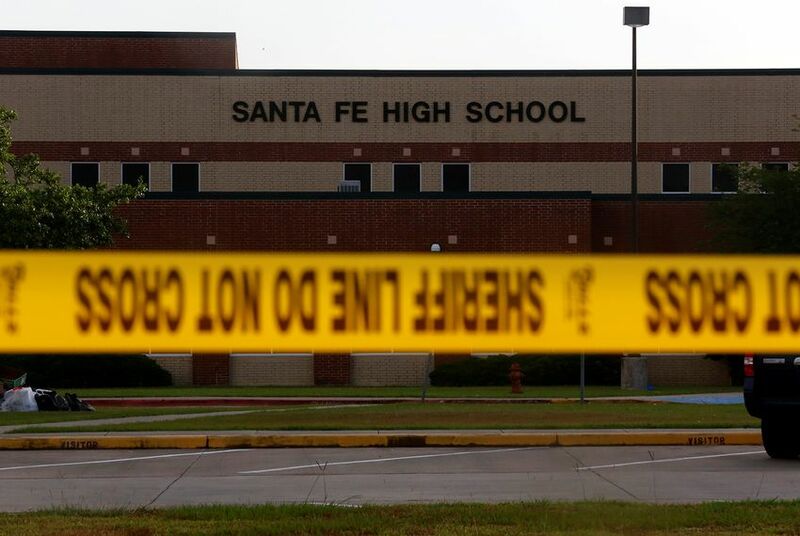 The study was released a day before the Texas Senate's Select Committee on Violence in Schools and School Security is set to to discuss the role of mental health in preventing school shootings. After the shootings, Texas lawmakers were tasked with looking into ways to prevent school gun violence, with Gov. Greg Abbott releasing a series of recommendations on the topic in May. Among his recommendations was a return to zero-tolerance policies that remove students from classrooms for any threatening behavior. The authors of the Texas Appleseed study argue that in response to a push to identify risks early, educators have referred their students to law enforcement in instances that were not truly threatening. Morgan Craven, one of the authors of the study, said the uptick in referrals is the result of faculty and staff not having the resources to discern between threatening situations that require police intervention and those that don't, prompting them to call police in cases that may otherwise be handled by faculty themselves. "It reflects a culture where people are nervous and don’t know what to do," Craven said. Both Abbott and the study recommend teachers undergo threat-assessment training to be able to differentiate the kinds of incidents, and the study further calls for the state to fund some of the training. Craven is slated to discuss the findings of the study at Wednesday's Senate committee hearing. Though committee members in past meetings have focused more on protective measures — including possibly arming teachers with rifles in some rural districts — they have emphasized the importance of preventive measures in dealing with school violence. Matthew Novosad, a police officer in La Porte and former vice president of the Combined Law Enforcement Associations of Texas, said he has noticed an increase in referrals to law enforcement since the shooting in Parkland. He said building relationships with students and other community members is critical in ensuring that students do not have traumatic experiences when police get involved. Novosad said police can redirect students to the appropriate resources rather than simply locking them up and that it's ultimately the local district attorney's role to determine whether to pursue charges against a student on a case-by-case basis. He said young children and students with mental disabilities may act in ways that technically classify as threats. "Are they just young, immature kids who don't really know what to do what they're doing? Absolutely," Novosad said. "We all played cops and robbers as a kids." But Craven said some district attorneys have been over-responding to otherwise innocuous cases. An 11-year-old autistic child in Brazoria County was arrested last fall after kicking and biting teachers during a meltdown in class — behavior state law classifies as a "terroristic threat." Though school officials have sent letters requesting charges against the child be dropped, Brazoria County District Attorney Jeri Yenne's office has since continued to pursued the case, causing considerable financial strain on the family, said Shiloh Carter, a lawyer with Disability Rights Texas advising the family on the case. Carter said it's the first time she's seen a district attorney pursue a case after school district officials asked to drop the charges, and she attributes the decision to the same drive that led to the spike in referrals to law enforcement after the Parkland shooting. When contacted by The Texas Tribune, Yenne said she can't discuss or confirm cases about an 11-year-old child. Correction: An earlier version of this story misstated the title of Matthew Novosad. Texas Appleseed has been a financial supporter of The Texas Tribune, a nonprofit, nonpartisan news organization that is funded in part by donations from members, foundations and corporate sponsors. Financial supporters play no role in the Tribune's journalism. Find a complete list of them here. Texas Gov. Greg Abbott has a 40-point plan for improving school safety. Here's what it would do.